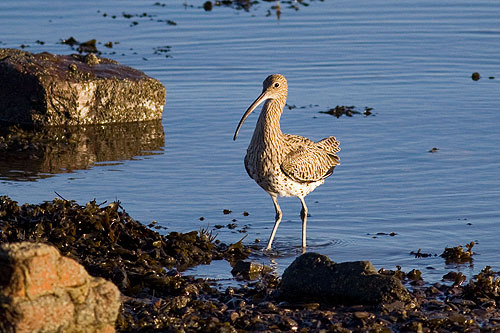 Britains largest wader , long downcurved bill , distinctive - loud bubbling call . Nest - shallow grass lined hole on ground . 1 Brood , 4 Eggs , April - July , Incubation 28 days, Fledge 35 days .